The future of agriculture is to produce the highest quality, most health-giving foods possible, and in a way that benefits both the earth and its people. Additionally, through the ignorant practise of modern farming, we have turned much of our once-fertile lands into desert, and now need ways to restore the soil and surrounding ecosystems. Biochar, or charcoal, will be an essential element to the success of both endeavours. 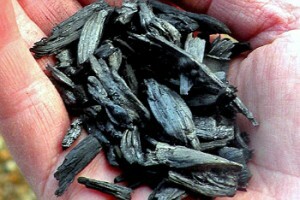 Biochar is produced by slowly heating biomass (wood and other plant materials) in a low-oxygen environment, such as a kiln. 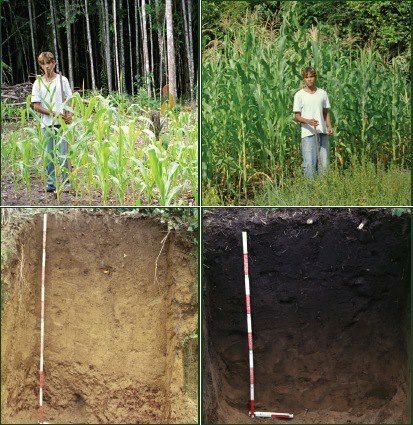 When put back into the soil, biochar can stabilize the carbon in the soil, in the form of charcoal, for hundreds or even thousands of years. It serves as a type of ‘coral reef’ of the land, where it’s porous and massive surface area provides a great benefit to soil microorganisms. The introduction of biochar into soil is not like applying fertilizer; it is the beginning of a process. Most of the benefit is achieved through microbes and fungi. 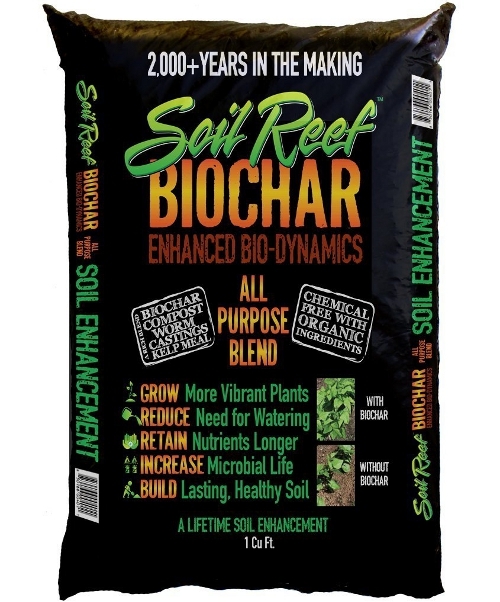 They colonize its massive surface area and integrate into the char and the surrounding soil, dramatically increasing the soil’s ability to nurture plant growth. A before (left) and after (right) in a field with biochar. 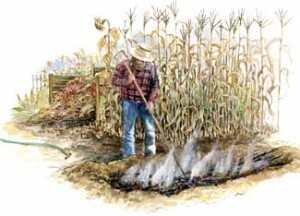 One method of making biochar: pile up woody debris in a shallow pit in a garden bed; burn the brush until the smoke thins; damp down the fire with a one-inch soil covering; let the brush smolder until it is charred; put the fire out. The leftover charcoal will improve soil by improving nutrient availability and retention. 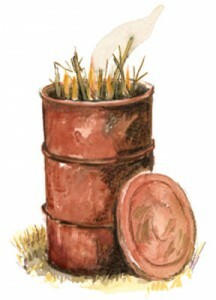 You can also make biochar in a burn barrel. Just watch the smoke. When it thins, pop on a lid to slow combustion.